Vitamin’s K’s main function is as a cofactor of the enzyme, enzyme γ-glutamyl carboxylase (GGCX) in the production of vitamin K-dependent proteins. Vitamin K is responsible for activating two vital proteins in the body, osteocalcin and matrix GLA protein. Osteocalcin is a protein necessary to help maintain calcium homeostasis in bone tissue. It also collaborates with osteoblast cells to build healthy bone tissue. Without enough vitamin K, osteocalcin production is limited and reduces calcium flow into the bone tissue. Matrix GLA protein is also found in vitamin K. According to Nature Research journals from Scientific Reports, the role of matrix GLA protein was assessed on mice fed a high fat diet. Vitamin K-dependent proteins' gene expression and impact on bone formation were evaluated. What they found was that gene expression levels of GGCX and vitamin K epoxide reductase (VKOR) were reduced in control-fed animals indicating the link between gene expression levels of GGCX, VKOR, and bone formation. The results verify the significant role vitamin K plays in improving bone health, enhancing bone mineral density and also reducing fractures. On their own, vitamins D and K both have bone-building benefits, but they work better synergistically to improve bone density. Even small doses of vitamin K benefit bone health, specifically when taken with vitamin D, as it helps to alter bone metabolism. 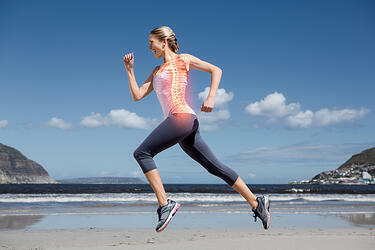 Several mechanisms are suggested by which vitamin K can modulate bone metabolism. Besides the gamma-carboxylation of osteocalcin, there is increasing evidence that vitamin K also positively impacts calcium balance, which is critical for healthy bone metabolism. According to Biomed Research International, vitamin K supplementation had significant and positive effects on bone health. Histologic and microcomputed tomographic evaluations demonstrated that vitamin K supplementation slowed down the loss of bone density and trabecular bone. In addition, vitamin K supplementation enhanced osteoblast function, and improved serum level of the bone anabolic markers. The study also demonstrated that vitamin K improved bone architecture. Administration of vitamins K1 and K2 elevated serum levels of osteocalcin—an indicator of osteoblast function and growth in the indices of bone formation. Vitamin K was also able to improve the suppressive effect on bisphosphonates on bone turnover and enhance bone volume and formation. With their ability to promote proper bone formation and calcium absorption, vitamins D and K can support overall bone health. Though each play a significant role in calcium levels, these two vitamins are much more potent when working together.